Photo: Chris Warham / Shutterstock.com. 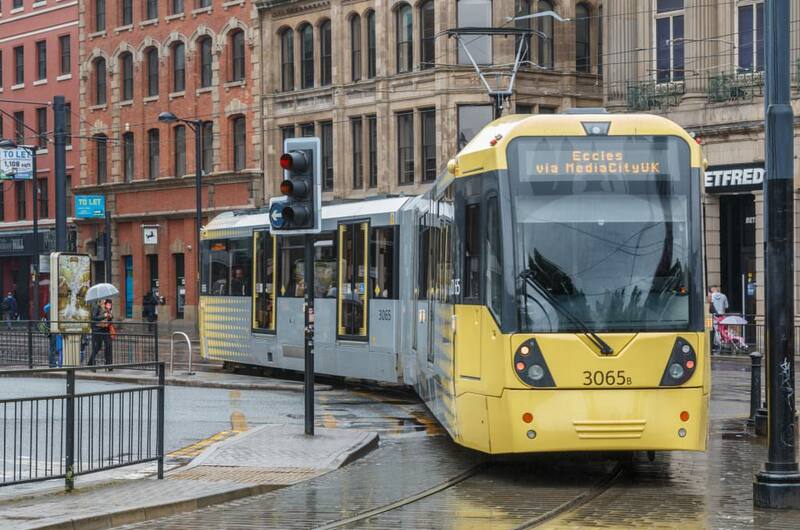 Manchester has been given the go-ahead for a £350 million extension to its Metrolink network through Trafford Park. Transport for Greater Manchester (TfGM) has been granted the legal powers it needs by Secretary of State for Transport Chris Grayling, and work could start this winter with the aim of opening in 2020/2021. The new 5.5-kilometre Trafford Park Line will be predominantly off-road, resulting in higher speeds and quicker journey times. It will leave the current network at Pomona and take in six new stops at locations such as Wharfdale, the Imperial War Museum and intu Trafford Centre. Funding is already in place through an ‘earn back’ devolution deal, and TfGM consulted the public on its plans over 12 weeks during the summer of 2014. Planning ahead, TfGM ordered ten additional Bombardier Flexity Swift trams in December 2013, an option on the original contract placed in 2007. Including those ten, which will be used on the new line, the total order on Bombardier Transportation and consortium partner Vossloh Kiepe was for 104 trams. Metrolink currently has a length of 100 kilometres with 93 stops, and is used for more than 35 million journeys each year. Tony Lloyd, Mayor of Greater Manchester, said: “Our new Trafford Park line will connect people across Greater Manchester to thousands of new job opportunities as well as offering fast, frequent and sustainable links to some of our city-region’s greatest sporting and cultural venues, not to mention the Trafford Centre.